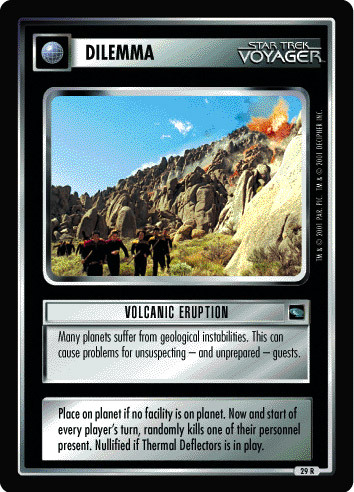 Seeds (in any phase) or plays in Gamma or Delta Quadrant (limit one). Inserts into spaceline; creates a location (span 2). 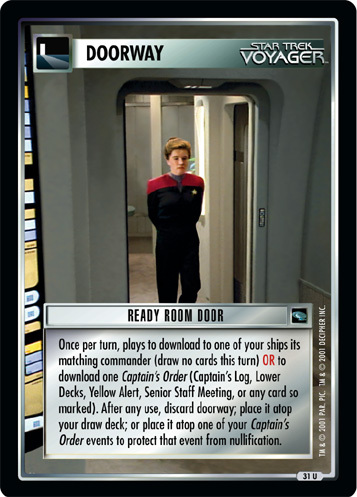 Any ship may move between Wormhole Terminus mission and here, then is "stopped." 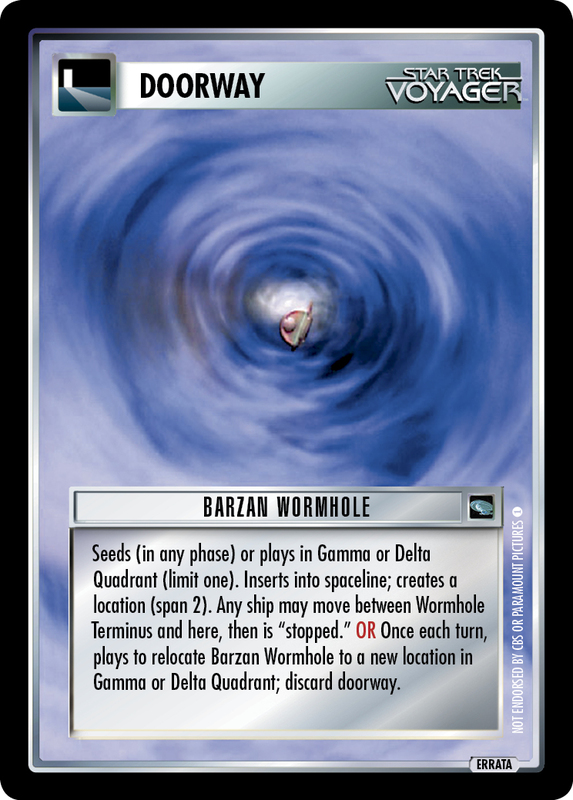 OR Once each turn, plays to relocate Barzan Wormhole to a new location in Gamma or Delta Quadrant; discard doorway.